Did you know that almost one half of all electricity consumed in the USA is used to power electric motors? 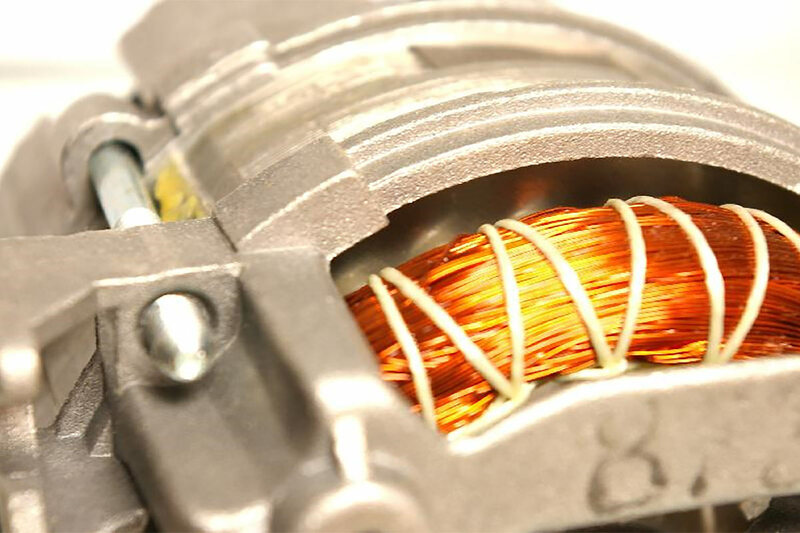 In the recent years, electric motors have been strongly connected to electric vehicles but they have so many uses, like household items, parts of internal combustion vehicles and a myriad of industrial uses as well. However, not all electric motors are the same. There are important and drastic differences when it comes to efficiency and durability. Different kinds of motors are better suited for different applications. So, there are things you need to know before you purchase one. One useful thing to know is where you can repair your motor if it gets damaged, like https://www.pcesandiego.com/electric-motor-repair-services.html. Other things you should consider include the following. The spec sheet for an electric engine is probably packed with various information about the engine. However, not all of those are going to be useful to you when determining the efficiency level of the engine. The best value for this purpose is the nominal efficiency. Nominal efficiency is the number which is estimated from the numerous standardized tests of the engine, as an average value. However, if your purpose requires the engine to produce constant energy, you should also consult the minimum guaranteed efficiency. There are other measures, but they should not be used in your calculations, as they may not be as reliable. In the USA, the regulatory body which determines the level of electric motor efficiency is called the Institute of Electric and Electronics Engineers, or IEEE for short. They use something called 112 Method B for this purpose. Essentially, a dynamometer is used to measure the motor’s output when it is under load. Other countries use different methodologies and different tests, so you may not get the same results. If you are purchasing a foreign motor, make sure that it is tested in accordance with IEEE standards, or that there is a conversion table at least. When Should You Buy a High Efficiency Electric Motor? If you already have a quality electric motor which works fine, investing in a high efficiency electric motor is probably not necessary. However, if your motor is not as efficient anymore, or requires constant maintenance and repairs, perhaps it is time to consider replacing it. Furthermore, any new installations should really be built around these motors, as they produce the same or higher amount of energy with less electricity consumption, which is sure to reduce your overheads. The same goes for replacing motors which are poorly-sized for the purpose you are using them. Should You Rewind Your Old Motor or Buy a New One? Rewinding electric motors is a really good way of reusing and recycling electric motors which can still perform well with just a bit of help. However, not every motor can be successfully rewound and sometimes it is better to replace the motor altogether, particularly if you can get a high efficiency one. If your old motor is the equivalent to less than 40 horse powers, it is probably not going to be eligible for rewinding. Furthermore, if the motor has already been rewound sometime before the 1980s, chances are that it is no longer as efficient and it never will be again. The rewinding technology has progressed a great deal since then. However, perhaps the simplest way to decide what to do is the cost. If rewinding costs more than 60% of the new motor, you are far better off with a new motor, particularly one which is far more energy efficient.